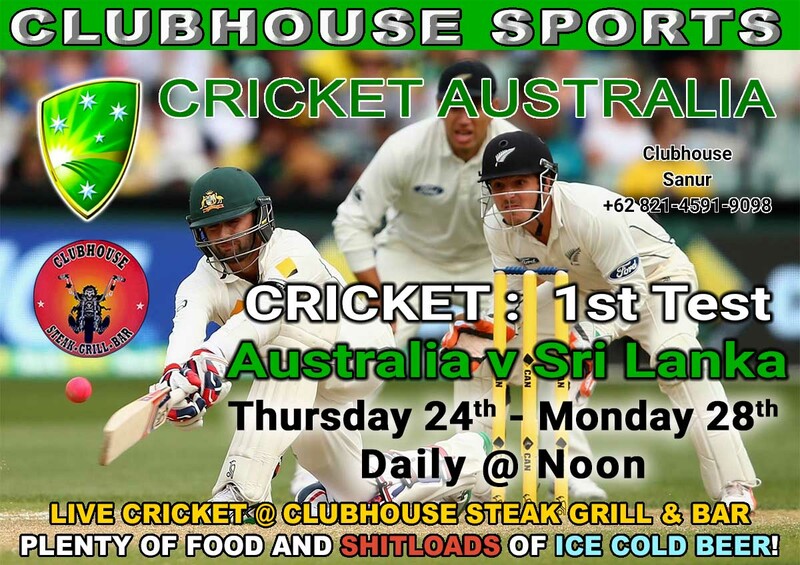 WHERE TO WATCH LIVE SPORTS IN BALI? The best steak house in Bali is proud to serve prime dry aged beef, grilled to your order. We don’t buy through second hand distributors, we ARE the distributor. We import our own beef direct from Australia and New Zealand through our butcher shop in Sanur called BIG MEAT on Jl Danau Poso. 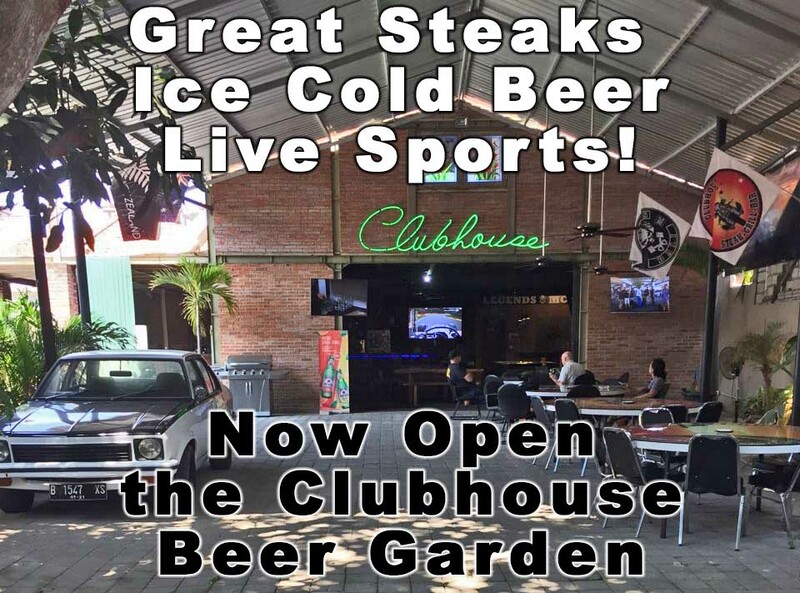 So if you’re looking for great steak, then look no farther than the Clubhouse Steak Grill & Bar or Big Meat. THERE’S MAN STUFF IN HERE! We don’t mess around; huge steaks, big burgers, oversize wedges, massive salads and the coldest beer in Bali! The Best Steak House in Bali is located directly behind Paradise Plaza Suites a short walk down Gang Jasmine (~500 meters) keep straight up the small alleyway until you see our sign hanging from the Tree. From Hardys Sanur, look for our sign on the main road about 20 meters South of the Hardys car park directly in front of the Oasis Hotel. Walk right up the alley about 200 meters and look for our sign.